nescafè pop up cafè | the creative bazaar. 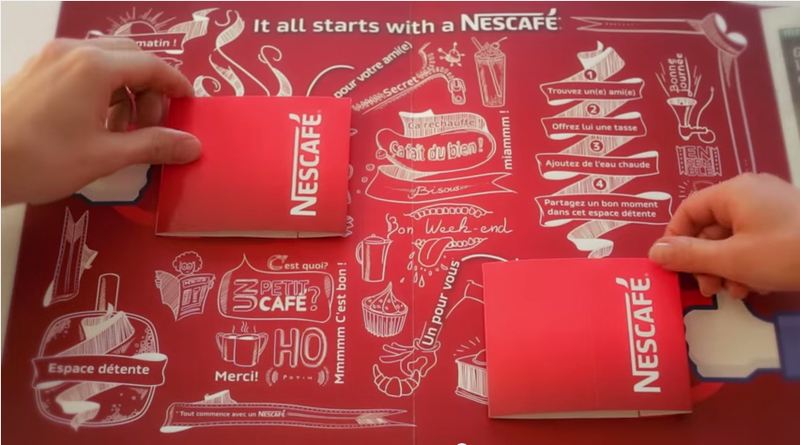 Pop Up Cafè – Nescafè Paper Mugs. What better way to start a conversation than over a hot mug of Nescafé? Geometry Global Paris created an unexpected way for two people to share a real moment together: Pop-Up Café. An unconventional print: a newspaper sleeve that contains two foldable paper mugs—one for you and the other for the person you plan to share your newspaper with.